RiverLevels.UK is a full listing of all river level monitoring stations across England, Scotland and Wales, as well as flood alerts and flood risk forecasts from the Flood Forecasting Centre. Check river levels near you, watch out for flood warnings and make sure you stay safe on and around water! Minor surface water flooding impacts are possible and minor river flooding impacts are possible but not expected on Wednesday across parts of central, north and east England. The overall flood risk is VERY LOW. Snapshot stats exclude seasonal streams (ie, those which are normally completely dry for at least part of the year), tidal locations and locations where insufficient recent data is available. River and sea levels are checked regularly by a network of monitoring stations operated by the Environment Agency, Natural Resources Wales and the Scottish Environmental Protection Agency. 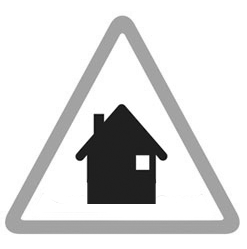 Flood warnings and flood alerts are published whenever flooding is expected. The Flood Forecasting Centre, a collaboration between the Environment Agency and the Met Office, provides a detailed five day flood forecast for England and Wales. RiverLevels.UK is an independent website which draws together data from all of these sources to provide a unified river levels and flood warnings map as well as detailed information for each river level monitoring station and flood warning area. State of the stats: River levels most recently updated at 5:15am, Tuesday 23rd April, current data reliability 85.8%.